The AEA-EAL took a patronage over the celebrations of the 155 anniversary of the Krakow Bar Association. 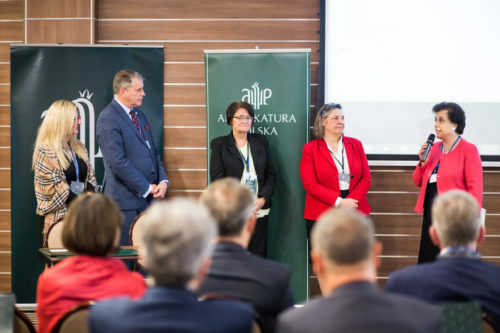 On this occasion, a seminar “Can Lawyer Still Preserve Secrets?” was organized in Krakow on October 6, 2017. Monique Stengel, past President of the AEA-EAL made a presentation about rules on obligation to preserve secrets in France. Please find below an information prepared by Monique. 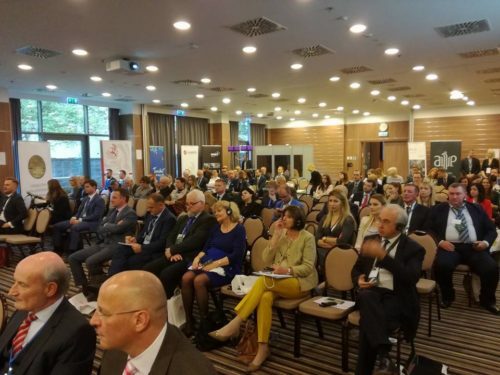 In October, Monique Stengel as immediate past President representing the AEA-EAL participated to the 155th Anniversary of the Cracow Bar Association: it was a great honor and pleasure as the Cracow Bar asked for the patronage of the AEA-EAL together with the FBE-EFB and UIA: it was a real “Birthday Party” with a lot of European Colleagues! There was a very interesting Conference about the topic “Access to information…” with speakers from Poland and different European countries: a very actual and important topic for all lawyers. I was asked as past-president to participate to the panel and present the situation in France.We had exchange of professional experience in this area concerning the human rights of the defence! Beside the scientific part, the Cracow Bar Association offered us a wonderful Gala Dinner in the fascinating Aviation Museum with gastronomie and music! Last but not least, a moving holy mass took place on Saturday with all Lawyers in robe before an impressive official Ceremony took place where the Cracow Bar Association as its older and younger members were honoured.This Ceremony as the celebration finished with an impressive concert on orgel! Once again, the Board of the AEA-EAL thanks the Cracow Bar Association and Mr Pawel Gieras, Dean of the bar Association, for its invitation and congratulates for the perfect and generous organization and congratulates for this impressive anniversary!